The Instax Square SQ6 follows in the footsteps of it’s somewhat controversial predecessor, the Instax Square SQ10 which is a hybrid instant camera that was met with mixed views as many die-hard instant photography fans felt bringing the digital element into the camera ruined the nostalgia of shooting with an instant camera. It’s a huge improvement on it’s predecessor, the Instax Square SQ10 hybrid instant camera which never captured people’s hearts in the way that Instax Mini cameras have. The Instax SQ6 is packed full of neat features designed to make the camera super easy to use while maintaining flexibility and adaptibility when shooting. Selfie mode – the Instax SQ6 comes equipped with a small selfie mirror to help you frame your selfie (this is standard on most of the Instax range nowadays). What is unique is that that SQ6 slefie mode automatically adjusts focal length and brightness levels to help you capture the perfect selfie – something that you will really appreciate if you are as selfie obsessed as I am! Automatic exposure control – this function automatically lightens both the subject and background when shooting in low light environments such as a dark room or night scene. I found this to be a good improvement on the Instax mini cameras which tend to have automatic flash making them pretty useless for shooting at night (note: on the SQ6 you have the option to select “flash off” mode). Macro and Landscape modes – put simply these modes allow you to take photos up close or far away. In macro mode you can shoot objects which are 12 to 20 inches away and landscape mode is ideal for capturing anything more than 6 foot away. Double exposure mode – is something that was specced for the Instax Mini 90 and I haven’t seen much since so a welcome comeback for this feature. In case you aren’t aware, double exposure mode allows you to superimpose two different images into a single photo. Darken and lighten mode – is eeeemmm pretty self explanatory, enough said lol. In addition to the above features, the Instax Square SQ6 also has a 10-second timer and comes equipped with 3 flash color filters (orange, purple and green) which you can attach to the flash if you want to add an artistic touch to your instant photos. Style wise Instax have moved away from the bright color schemes we saw on recent models and opted for more earthy tones for the SQ6 which is a welcome change. 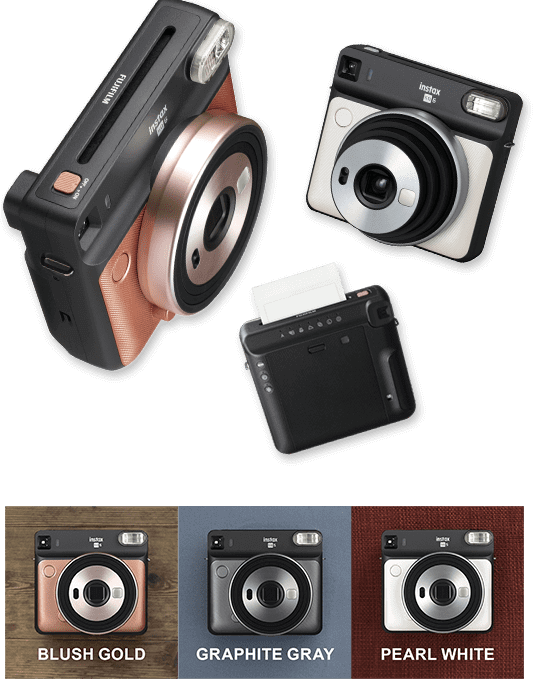 It comes in pearl white, blush gold and graphite gray and gives the camera a more sophisticated look and feel than some of the instax mini designs which can feel a bit plastic toy-like. The Instax SQ6 comes complete with two rechargable CR2/DL CR2 lithium batteries which are good for shooting up to 300 photos on a single charge, more than ample for almost any situation. Size 4.7in. × 5.0in. × 2.3in 4.7in. x 5in. X 1.9in. Photo Size 2.4in. × 2.4in. 2.4in. × 2.4in. Self-timer Electronically controlled, approx. 10second delay, Can be stopped mid-run Approx. 10 sec./Approx. 2 sec. My verdict: If you are looking for an instant camera that shoots square photos then the Instax SQ6 is a clear winner at almost half the price. If you would like the option of being able to shoot, store and edit your photos digitally then you should opt for the SQ10. My verdict: If you are on a budget then the cheaper price of both the camera and instax mini film makes the Instax Mini 9 a clear winner. 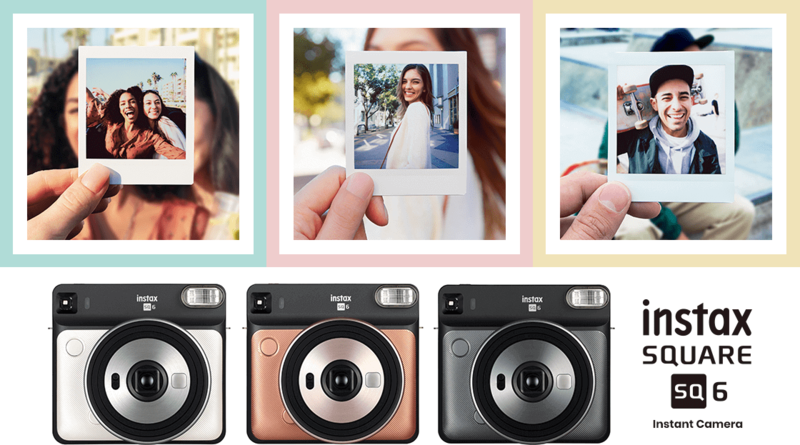 If you appreciate the larger photo size and square format then you should choose the Instax SQ6. If there’s one thing that really blows about instant camera photography, it has to be the price of film. I ain’t going to sugar coat it for you, the Instax SQ6 uses Instax Square Film which works out at about $1.30 per photo. Fortunately, I have written a previous article on how to buy instax film in bulk and reduce your photo costs which you can read and hopefully find helpful. Okay that’s the bad news out of the way. 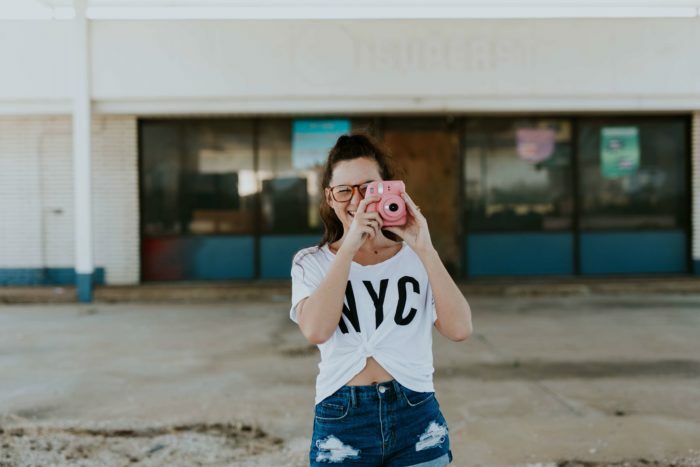 The good news is that the Intax Square photo format is 30 percent larger than Instax Mini photo size, giving you extra space to fully capture your subject plus it removes the need to decide between shooting in landscape or portrait mode. 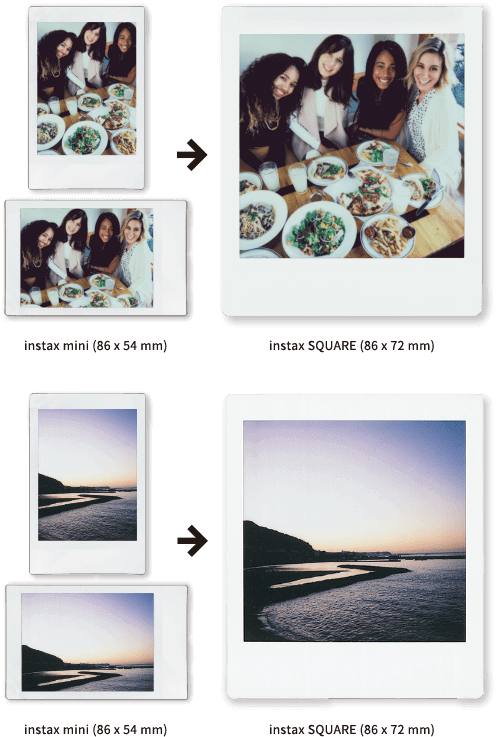 The Instax Square photos are 30% larger than Instax Mini photos! 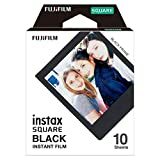 Fujifilm have recently released the Instax Square film with a black background to provide a striking background to your photos, this is in addition to their standard film which features a white background. The Instax Square SQ6 is a simple and stylish camera packed full of neat features and photography modes. The 1:1 square format makes it a walking version of Instagram and I really liked the fact that the photos are notably larger than those of the Instax Mini range which, although lots of fun, can be very limited for space to fully capture an image or scene. At $130, the SQ6 is competitively priced for the quality of camera and specifications and I believe Fujifilm will quickly see the pearl white and elegant blush gold versions selling out so get your now before they are gone! Thanks for taking the time to read this far, I really appreciate it! If you are going to buy the Instax SQ6 or any other cameras and film detailed above then doing so by clicking the links above will help me support the costs of running this website and won’t cost you a cent.